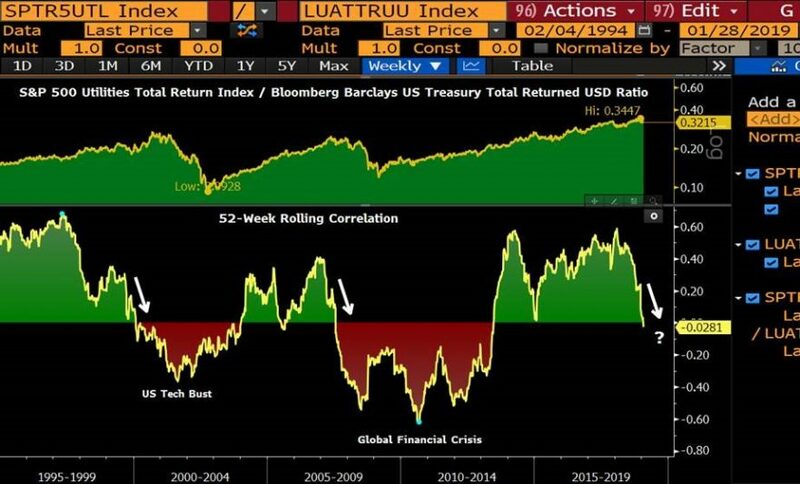 The correlation between utilities and treasuries has just turned negative again. It’s a battle of safe-havens that sounds an alarm when credit and equity markets diverge. Are we dipping into the bloody pool again?